Thirty-five years into the HIV/AIDS epidemic, we know what it takes to prevent new infections and care for those already living with the disease. Our work – in conjunction with partners around the state – has given Massachusetts one of the best track records in tackling this epidemic. Since 2000, we’ve seen a 41% reduction in new HIV diagnoses in Massachusetts, which will save the state more than $1.7 billion in HIV-related health care costs. But we need the resources to continue the work. That’s why your financial support is so important. More than 50 percent of the money we raise each year comes from private sources — donors like you. 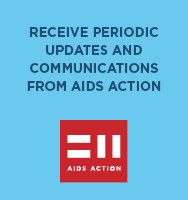 And as federal and state funding for HIV/AIDS decreases year after year, your support is critical to ensuring that we don’t lose ground in the fight against HIV/AIDS.